With Australians living longer than any other previous generation, the popularity of retirement and residential living is growing. These kinds of facilities have been proven to extend the independence and quality of life for their residents[i]. Retirement facilities not only offer an affordable downsizing opportunity but also an added level of security with many of the communities being gated. This ensures that people (and burglars) walking in from the street are unable to access your home. A recent survey by Budget Direct Home Insurance found that 1 in 5 Australian homes have been broken into and that only 1 in 3 Australians have home security installed on their property. It’s no wonder many people over 50 are turning to communities where their homes and possessions will be more secure. But how to know which style of home is right for you? There are many different options when it comes to deciding what type of property is best, but one of the most popular choices are land lease communities. The domain of land lease communities can often seem complicated, however it is actually quite straight forward. 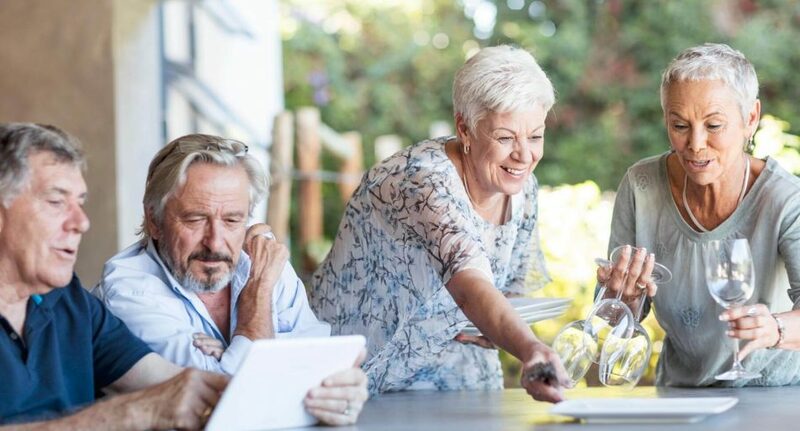 For many Australians, it is a very attractive option for their living arrangements in later years as it offers different benefits compared to the better-known standard residential or retirement village options. Buying into a land lease community typically means that you purchase the built-form component of a relocatable building (the home) and then lease the land (the block) upon which the home resides. It differs from the typical Retirement Village agreements in that when you sell the home you are not required to reinstate the property to the same condition you purchased it in, meaning you won’t be required to pay for refurbishment fees if you choose to sell the property in its current condition. Victorian based company Lifestyle Communities has an appealing model for land lease communities for the over 50s, with a 90 year land lease model. Rather than buying the land, you pay a weekly site fee to lease the land where your home is located. You still benefit from the security of home ownership and the peace of mind that comes from the land lease model, which secures your lease for 90 years providing you with a long-term right and interest in the land. As an added benefit, as the value of the land increases so does the value of the lease. This means that should you choose to sell your home, you will benefit from any increases the value of the land lease has gathered. In addition, the weekly site fee also provides you with access to the impressive resort-style facilities including Clubhouses with pools, gyms and lounges whilst having the shared facilities and gardens all maintained for you. A further benefit of the model is that there are no council or water rates payable, as these are all taken care of for you. Moving to a land lease community allows you to downsize from your family home, freeing-up finances to fund a lifestyle that provides you with a home that requires minimal upkeep, whilst you enjoy the impressive shared facilities and gardens of the community that are all maintained for you, taking comfort in the security of still owning your own home and having a long term right over the land. For further information on the land lease model and properties available visit the Lifestyle Communities website.